When I first laid eyes on this place, I was browsing through another person’s Instagram. A few days later, I came across it on Pinterest. The Internet knew I needed to go here. So I pinned it and told myself I would travel there one day. A year later, I was standing in the exact spot where the picture I stared at for months was taken. 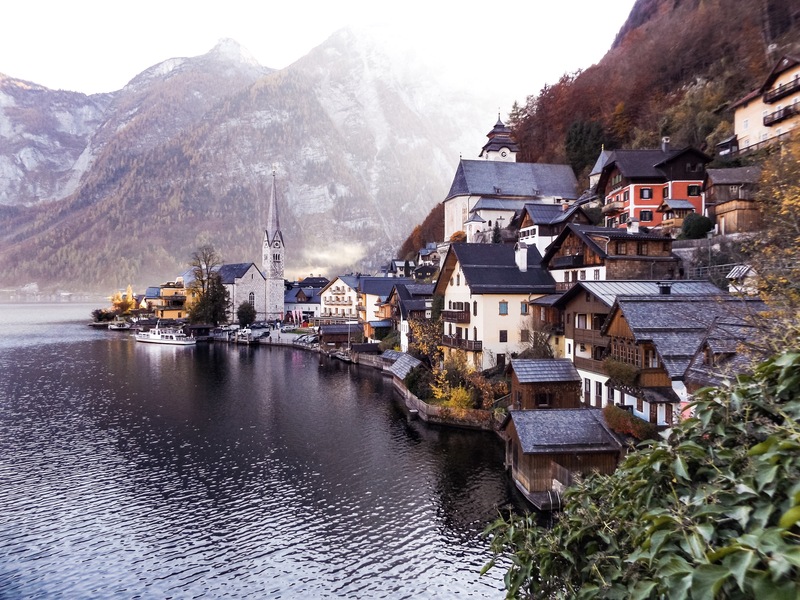 Hallstatt is named one of the most picturesque small towns in Europe time and again for obvious reasons. The quaint town, majestic mountains and serene lake make it the perfect place for a day trip or weekend getaway. Unfortunately, by the time I got there I only had a few hours to explore (to be fair, it was because the drive there was so beautiful I kept stopping). Thankfully, the town lived up to what I built it up to be. Still, what do you do in one of Europe’s most famous small towns? Here is what I did as well as a few more suggestions. If you do not post it on Facebook or Instagram, it did not happen. If you do not get this picture, you did not visit Hallstatt. There is a reason this spot is photographed over and over. It is one of the best lookout points, and it is not hard to find. 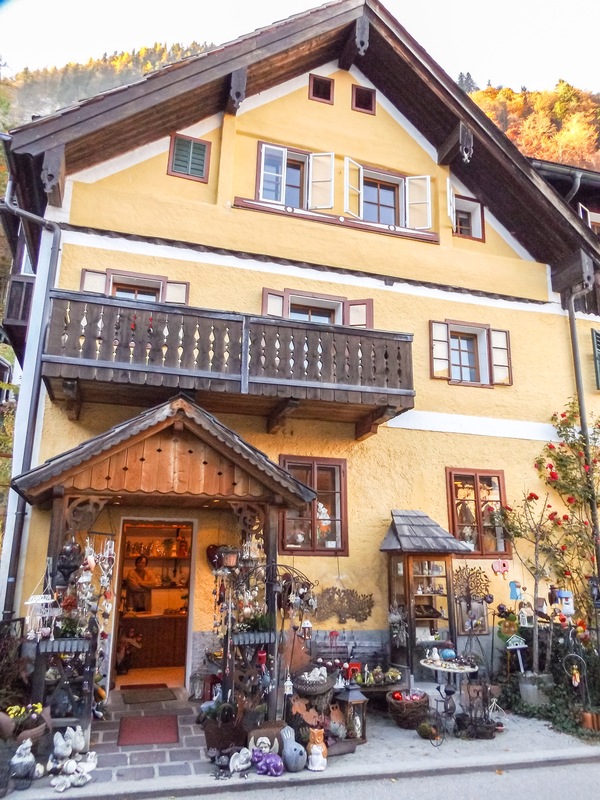 There is one main road that runs through Hallstatt. Follow that road, and you will know when you hit this spot. There will be a sea of selfie sticks flagging you down to let you know you have reached it. My mother could spend hours exploring all of the different shops here. There are not many, but the ones that are here have lots of small, handmade trinkets. Expect to pay a little more, but also expect to find things you would not elsewhere. You will find unique gifts as well as the expected souvenir shops. Stroll through town and take your time admiring every shop. If nothing else, admire how adorable they are on the outside. Alright, obviously you need food, but make a point to eat in one of the nicer restaurants here. I ate at Seehotel Gruner Baum, which is in the center plaza and a bit pricier. It was worth it to have the best trout of my life that was caught fresh from the lake that day. If you want to feel a bit fancier, there is local wine and beer served most places throughout the town too. Do not settle for a quick-stop place with basic food. Splurge and treat yourself. It is not every day that you visit a UNESCO World Heritage Site. 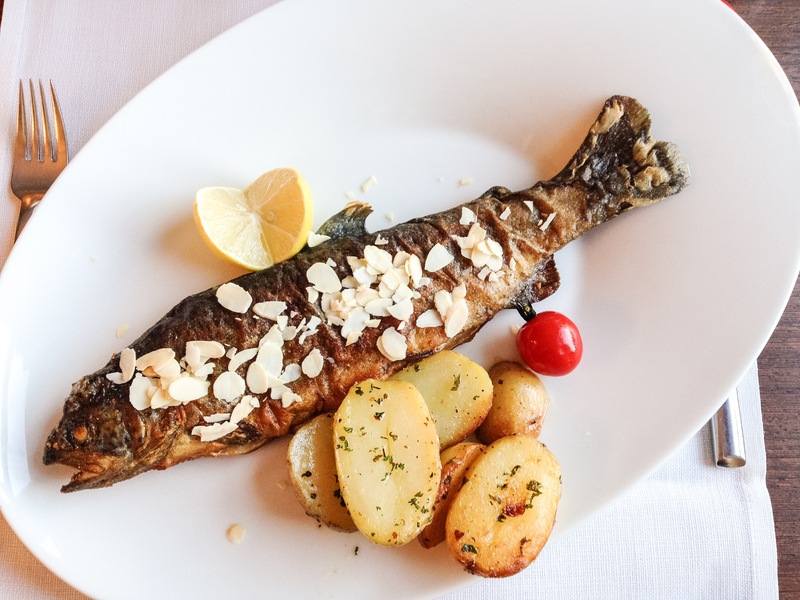 A word to the wise: Either know how to debone a fish or ask your waiter for help. They will most likely serve your fish with the eyes still staring back at you. I ended up Googling how to debone a fish the second I realized I was on my own, and I still ate too many bones. This is my recommendation for nearly every place I visit. The best way to explore a place is to walk around and wander through the streets. Hallstatt is no exception. There are secret turn-offs, random drinking foundations, ornate church buildings, charming houses and quite a few cats meandering through it all. There are two options for this one: you can either go on a boat cruise around the lake or rent your own boat. I did not get to personally experience this, but after seeing a boat gently float across the water at sunset I was jealous I did not do it. Do not make my same mistake. Luckily, my sister traveled to Hallstatt only about a month before me. She took the tram to the top and got a snap of the official UNESCO World Heritage view. Plus it only costs 10€. 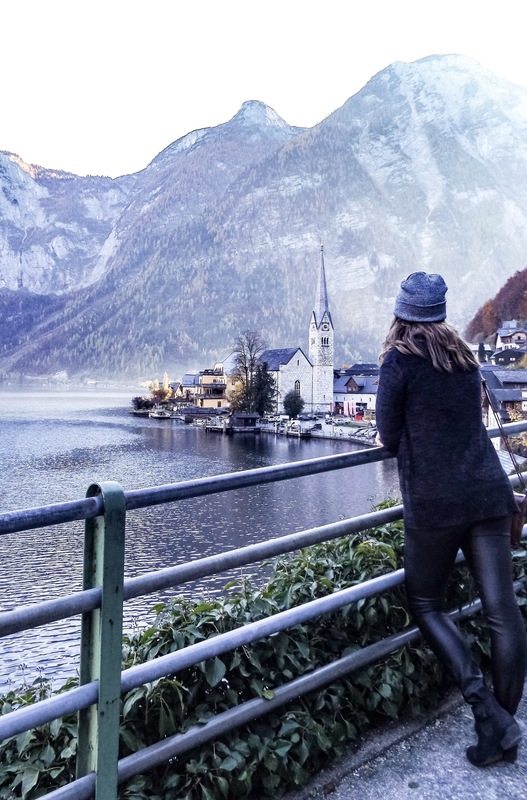 Another thing to consider is during what season you want to see Hallstatt. It is obviously beautiful in every season, but you should plan accordingly depending on how you want to see the town. I love fall and dark places so this was a perfect time for me. When my sister went a month before, she saw it in full greenery with the sun shining. So pick your season and go then. It will make your stay that much better. 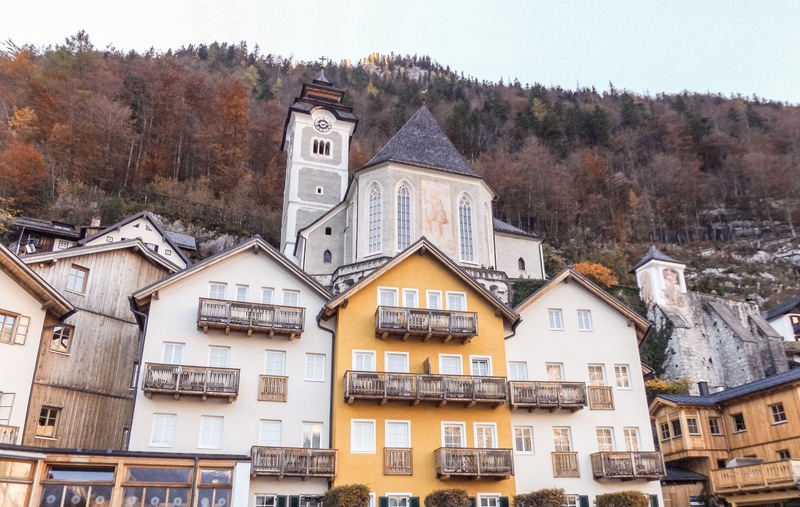 Hallstatt is well off the beaten path. You will drive through small towns, rolling hills and see a cow or two along the way. It takes time to get there so do not rush. Sit, stroll and take it in. It is the best way to experience it.